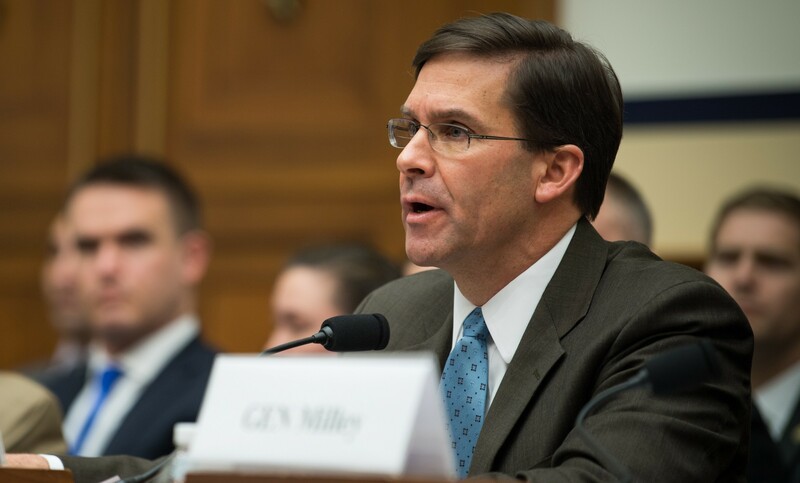 WASHINGTON -- The Army Futures Command is working with industry to enable "quick prototyping" of new systems that will modernize the force, Secretary of the Army Mark T. Esper told lawmakers Tuesday. 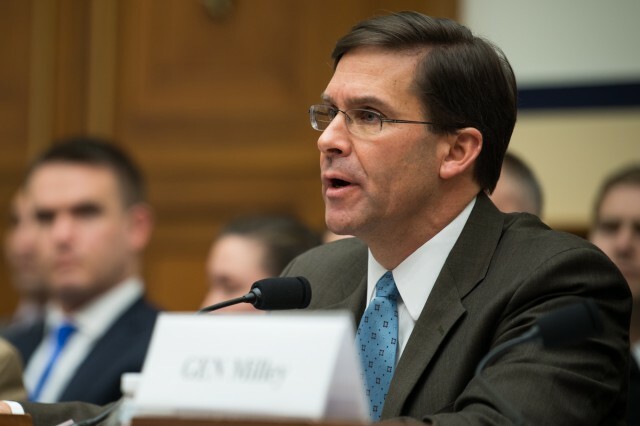 "We've been able to bring folks in for our version of the Shark Tank, if you will," Esper told members of the House Armed Services Committee during its hearing on the posture of the Army and Air Force. Esper was referring to a review of the Army's programs by senior leaders at the Pentagon, with participation from cross-functional teams of the Army Futures Command. The CFTs mix a slice of the Army's acquisition corps with program managers and private-sector experts to speed up the modernization process. Industry representatives who pitch a viable idea to a CFT are connected to the Army's requirements developers, Esper said, and the program is then put on a fast track. The Army's six modernization priorities now have 30 embedded programs, Army Chief of Staff Gen. Mark A. Milley testified at the hearing. For instance, the Next-Generation Combat Vehicle is one of the Army's six priorities and one of the programs embedded under it is the Optionally Manned Vehicle. The Army released a request for proposal, or RFP, for the vehicle March 29. "The technologies have advanced to a level where we have confidence," Milley said of the Optionally Manned Vehicle. "Second, we are doing a lot of experimenting and prototyping," he said. He explained the process is "fundamentally different" than what happened with the Future Combat Systems under development a decade ago. "With FCS, we got out in front of our headlights, in the sense that we were trying to demand a requirement in a vehicle for which the technology wasn't mature," he said. "We know factually that optionally-manned or robotic vehicles work today -- they're working in the commercial world, they're driving and delivering goods and services up and down the highways and byways of America, even as we speak." 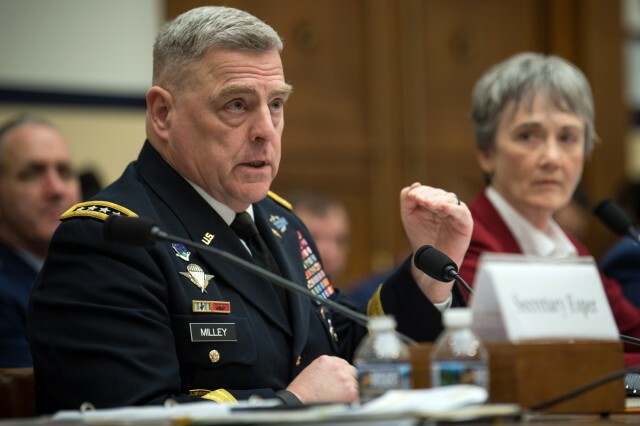 Milley said driving on the highways is a little different than driving in the terrain downrange where the Army maneuvers, so some research and development still needs to be done and some challenges still need to be overcome. The Army, though, is very confident that the vehicles which "will come off the production line in the not-too-distant future will have great capability to be optionally manned," he said. Active protection systems is another technology that the Army is developing and plans to use on all of its armored vehicles, Milley said. APS is a system of sensors and directed energy that would counter missiles or incoming rounds. Equipping four brigade combat teams with APS is an interim measure or "waypoint," he said, until the entire armored force could be equipped. The selection of Austin, Texas, as headquarters for the Army Futures Command gets the Army's research and development community out from behind gates, Esper said, and allows them to interact with industry and academia as Austin is home to the University of Texas system. "We're not behind walls or barbed wire," Esper said. "We're actually out in the community. We're working with young entrepreneurs and innovators and we're also reaching out to academia there and in other places." An Artificial Intelligence Task Force was established a couple of months ago in partnership with Carnegie Mellon University in Pittsburgh, Esper said. He said more than a dozen companies have expressed interest in the task force, along with other institutions of higher learning. "We're trying to involve all parties in this," Esper said. Milley added that "AFC has tentacles throughout the nation."